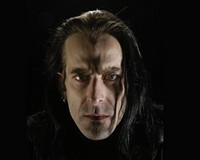 Randy Blythe’s Bail Doubles | News and Features | Style Weekly - Richmond, VA local news, arts, and events. Prague Municipal Court dismissed a motion to deny Lamb of God lead singer Randy Blythe’s bail in a closed session on Tuesday, according to an online newspaper in the Czech Republic, iDNES.cz. His bail was doubled from $200,000 to $400,000. Blythe faces manslaughter charges two years after a man was allegedly tossed off the stage at a concert in May 2010. The fan later died, allegedly from injuries sustained in the fall. Tuesday’s hearing means that even if Blythe can come up with the money (roughly two years of his annual salary, as mentioned previously by the band’s manager), the prosecution can still file another motion to reject the bail and the singer could remain in prison, according to reports. He still has an upcoming bail hearing July 19. Also, in the news, Blythe granted his first interview from jail with the Czech tabloid, Blesk.cz. Although confused by the country’s legal system, Blythe sounds upbeat and positive, noting that he is spending time learning Mongolian from his Mongol cellmate. He also says that if he is allowed to return to the United States, he will likely immediately jump back into performing to raise funds for his defense.